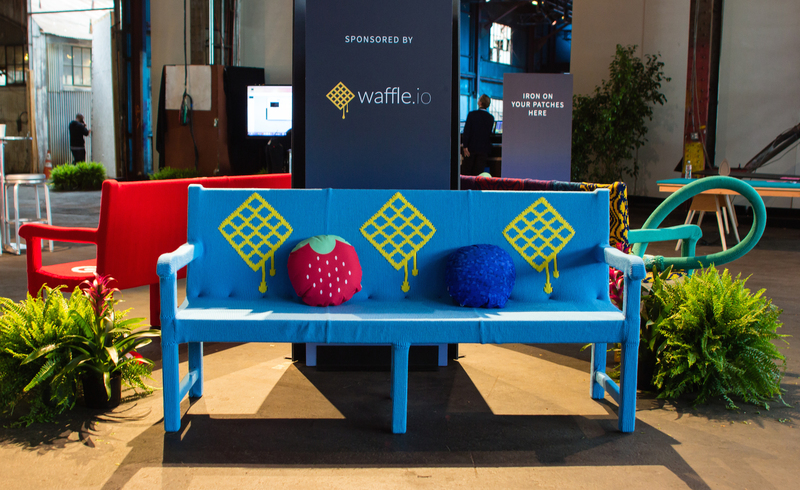 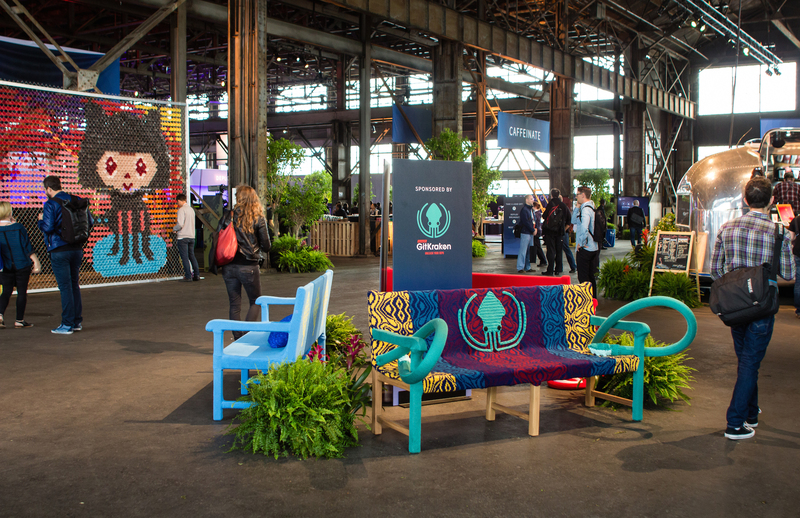 Yarn bombed bench installation at GitHub Universe 2015 in San Francisco, California. 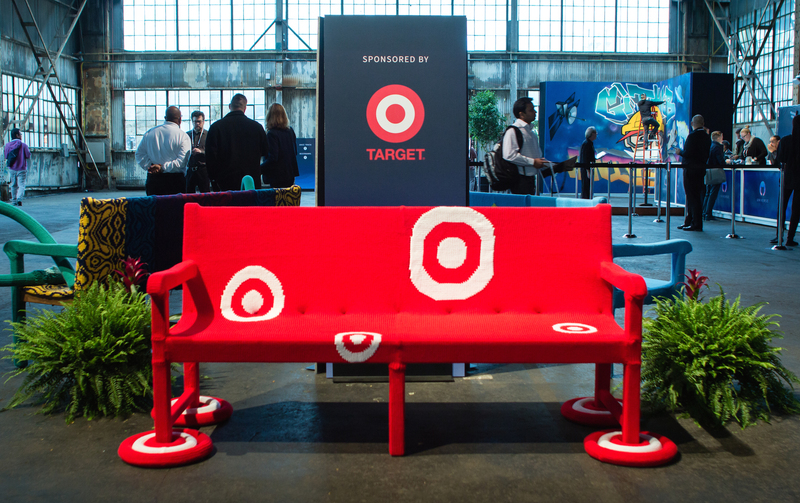 Three custom knit benches created for event sponsors. 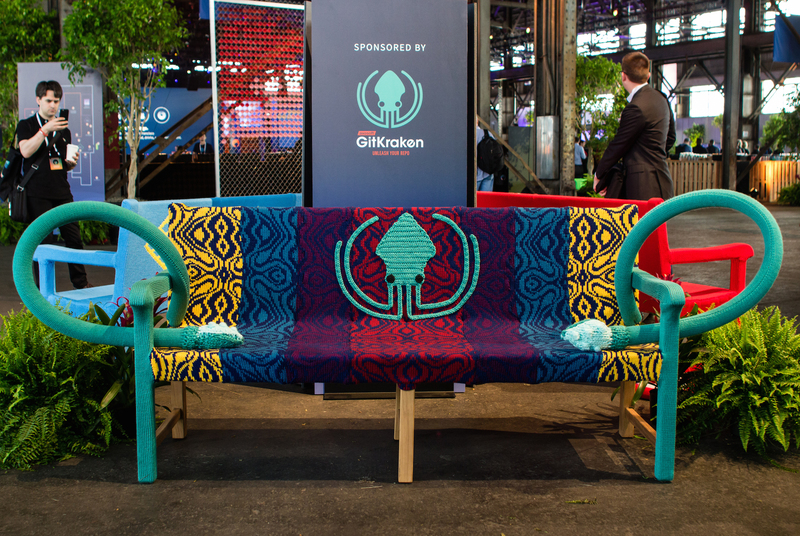 Per bench: 1 week to design and construct, 4 hours to install.